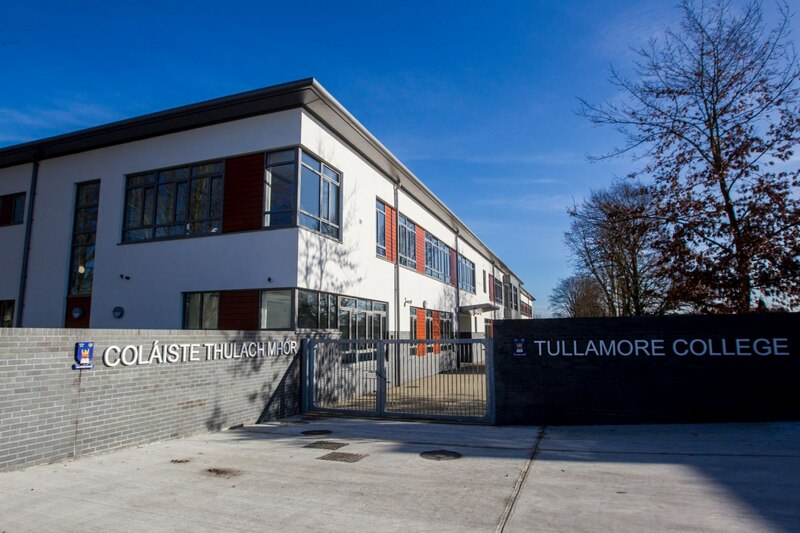 The new school building planned for Tullamore College at the corner of O’Carroll Street and Riverside will include 14 general classrooms, two social studies rooms, three science labs, a demonstration room, two art rooms, two home economics rooms, two business and computing rooms, two technical graphics/CAD rooms, two construction studies rooms, two engineering rooms, a guidance suite, a library and a gym as well as pastoral offices, staff room and a first aid room. The building that will stretch to more than 7,000 square metres will take some 18 months to complete, and will welcome its first students in September 2015. Current students will continue classes in the current school building while construction on the new building is ongoing, and that building will then be demolished to make space for basketball and tennis courts. Computer generated perspectives of the new school building. Created by Butler Moffat Architects.